Bangalore-based CapriCoast.com Home Solutions Pvt. Ltd, which provides modular kitchen designs along with online tools to customise and order them, has raised $1.25 million (under Rs 8 crore) in seed funding from VC firm Accel Partners India. 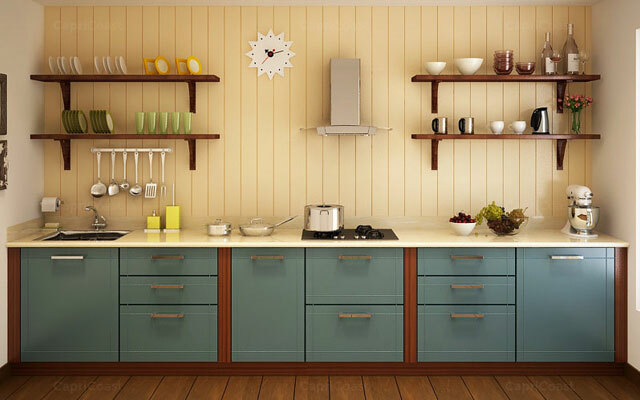 Besides its designs, CapriCoast.com, which was started by furniture e-tailer Zansaar's co-founder Jawad Ayaz six months ago, connects customers with manufacturers and suppliers of kitchen solutions and wardrobes. Currently, it is available in Bangalore and will use the funding to expand in all the metro cities in the country by the end of this year. Zansaar and CapriCoast will use each other’s platforms to increase their user base. Speaking on the investment, Prashanth Prakash, partner of Accel Partners India, said, “We see massive growth in the modular furnishing market in India and see CapriCoast’s disruptive online-led approach as offering the most customer value in terms of product range, transparent pricing and ease of buying." Besides over 1,000 pre-designed kitchens, CapriCoast offers online 3D catalogue besides customisation tools. “The $10 billion modular furnishing market in India, is mostly unorganised with minimal quality standardisation, obfuscated pricing and a tedious, high-friction purchase process. We want to change this by providing an engaging, never before customer experience," said Jawad Ayaz. “CapriCoast.com’s online model eliminates middlemen and brings in cost efficiencies that are passed on to the customer, making it possible for the price of a world class modular kitchen to be 20-25 per cent lower than any other comparable offerings in the market," he added. In 2012, Accel Partners and Tiger Global together invested $6 million in Bangalore-based e-tailer of home décor products Zansaar.com. CapriCoast.com Home Solutions Pvt. Ltd.